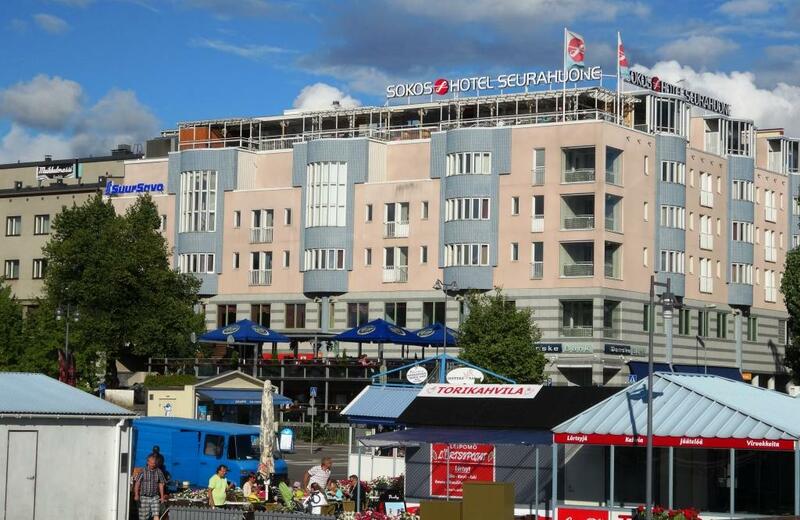 Original Sokos Hotel Seurahuone is located in the centre of Savonlinna next to the Market Square and the Passenger Harbour. The medieval castle of Olavinlinna is few hundred metres away. Hotel has 84 rooms, 8 of them are Superior in which we stayed. Hotel has several restaurants and it specializes in night life as there are two night clubs, Night & Bar Tamino for younger adults and Dance Restaurant Mefisto for “grown ups”. We did not visit those places but usually there are quite crowded in the summer time; and the beats goes on….Be sure you do not get a room above restaurants on Friday or Saturday nights. Dining is not in focus as there are two really modest restaurants, Muikku Terrace (in the picture, see separate review) and Restaurant Piatta where breakfast is also served. Piatta has small terrace and dining room which is really dark. 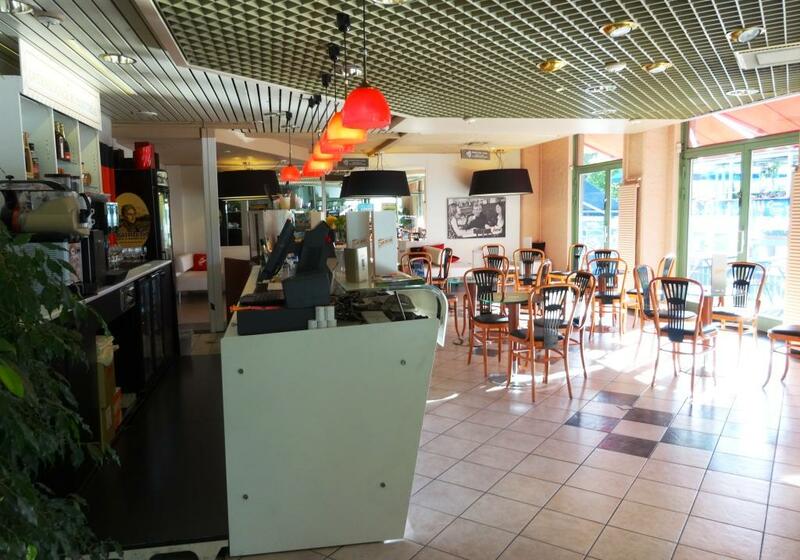 There is also small Cafe Opera (in the picture) with terrace on the right when you come in. Seemed to be quite empty all the time. All public areas would need some furbishing because they are worn. Problem of course is that July is the most busiest month and in the winter time hotel must be quite empty. But this summer has been more quiet for hotels because customers are seeking more affordable accommodation due to recession. First summer can remember there were free rooms available easily although Opera Festival tickets have been selling well. 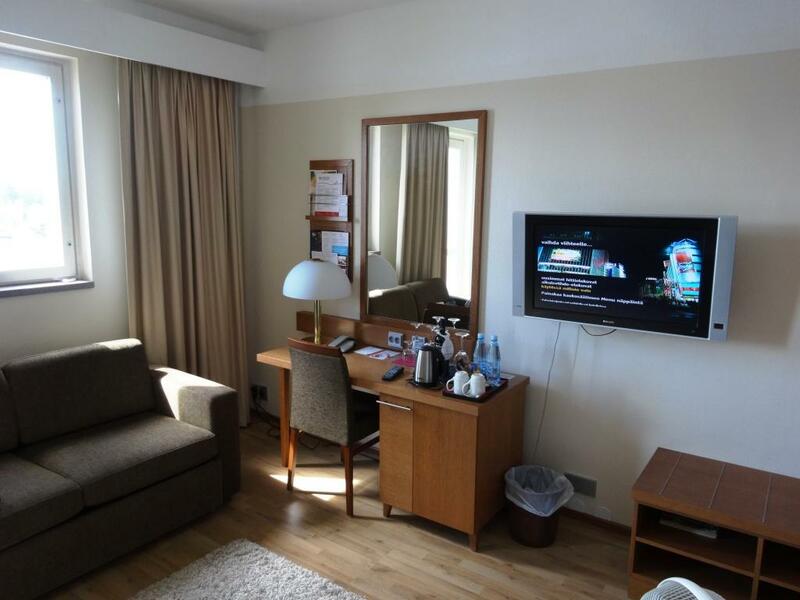 Rooms are modest compared to the price level during Opera Festival. Air conditioning seemed to be replaced with fan which we did not need because of cool weather. If there should be warm and sunny, fan would not be enough. Best part was the view from the room at 5th floor. 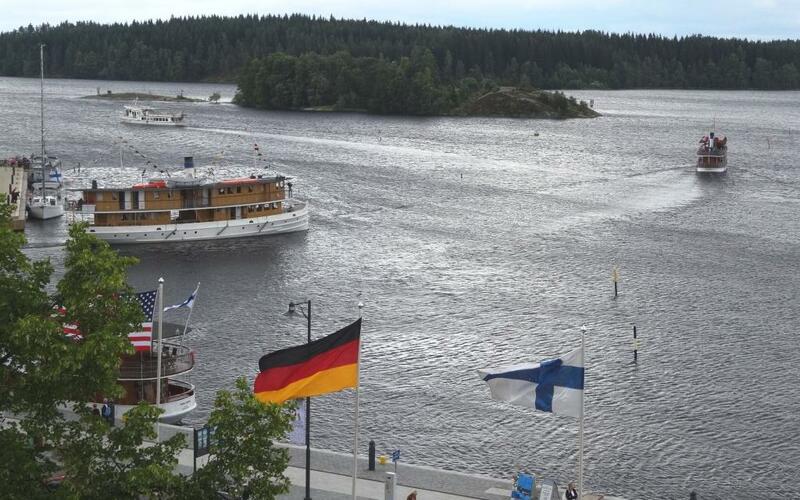 You can watch steam boats taking passengers for short sightseeing cruises and by-passers on their way to Market Square or to Savonlinna Castle. First picture was also taken from the French balcony. 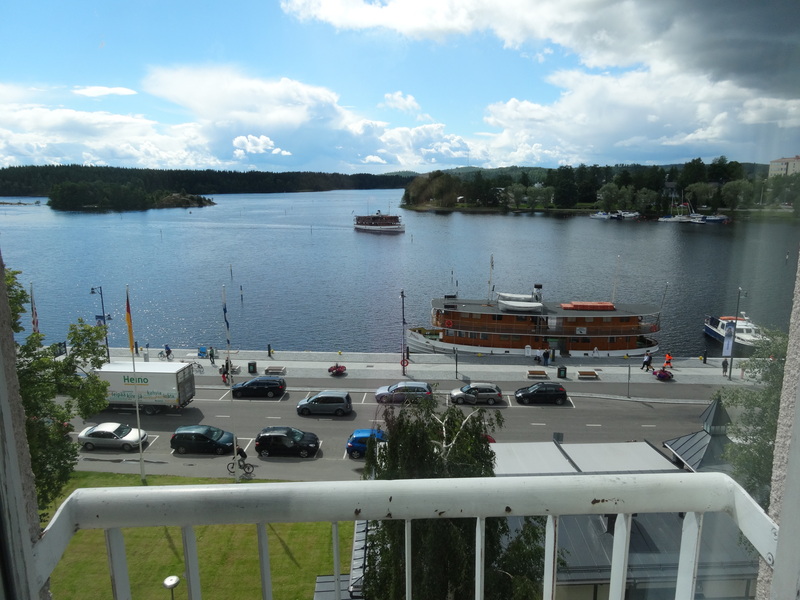 There are two hotels in Savonlinna, reviewed Sokos Hotel Seurahuone and Best Western Spahotel Casino which we have usually visited. From these two hotels would choose Spahotel Casino because it is closer to nature, it has great terrace and basically most of the rooms are with balcony + free parking. 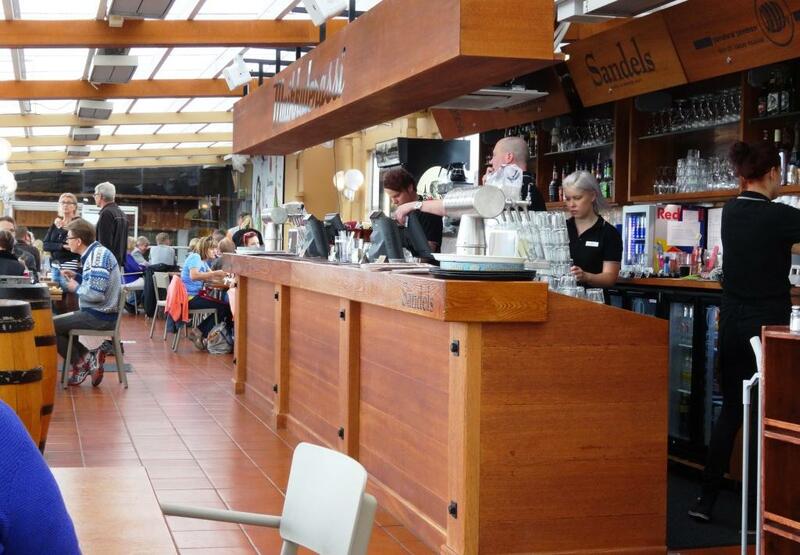 And it is not too far away from Savonlinna Market Square, just walk over the bridge between island and town.